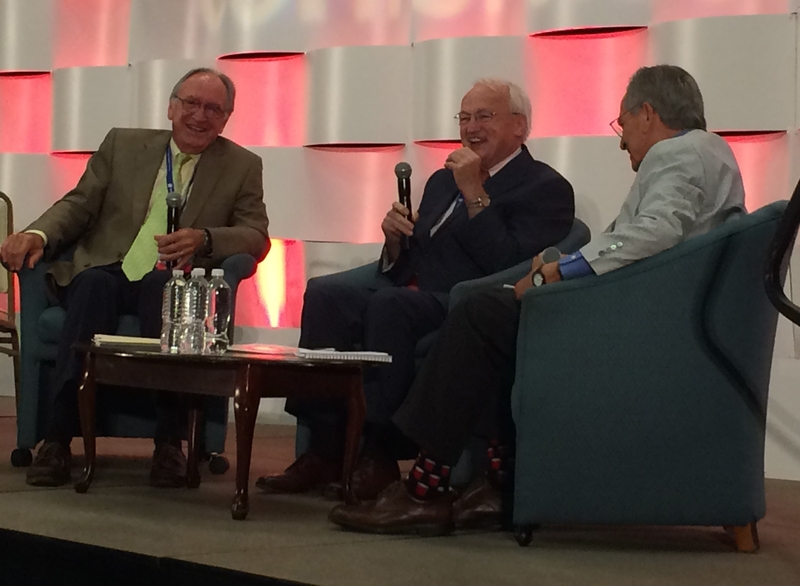 From left, Tom Harkin, Kevin Concannon and Ken Hecht discuss federal nutrition assistance programs. More than 1,700 nutritionists and other experts on children's health gathered in San Diego June 29 – July 2 to share lessons learned about efforts to reverse the childhood obesity epidemic. 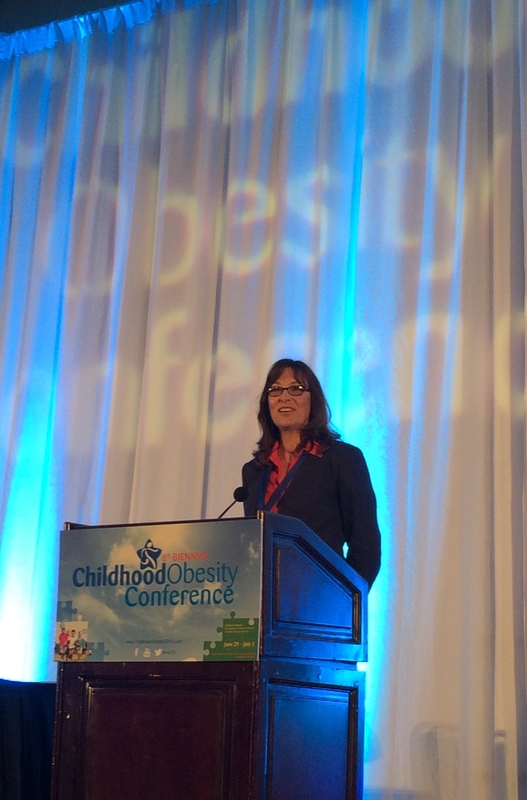 Collective Impact: Developing a Shared Vision to Achieve Greater Success was the theme of the 8th Biennial Childhood Obesity Conference held at the Town and Country Hotel and Conference Center. The conference was hosted by UC ANR's Nutrition Policy Institute (NPI), California Department of Public Health, California Department of Education, the California Endowment and Kaiser Permanente. 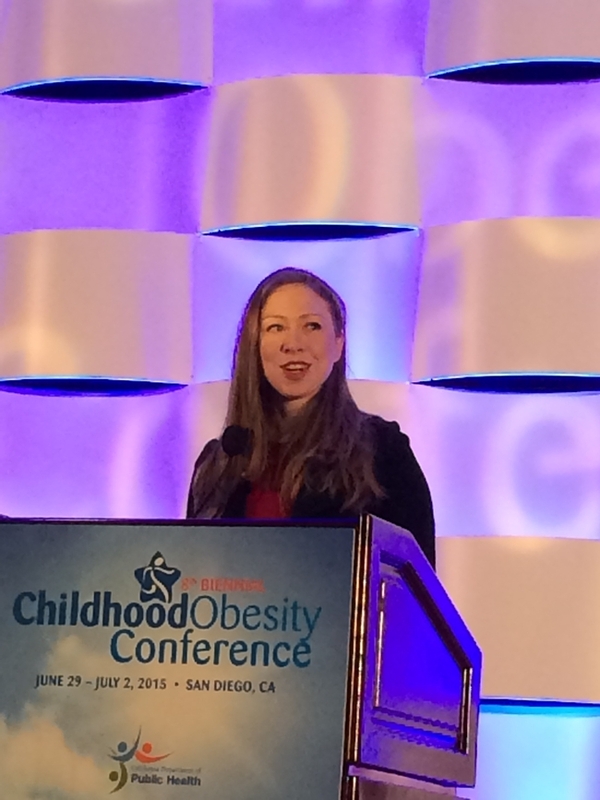 Chelsea Clinton was the opening plenary speaker. Lorrene Ritchie discussed the importance of policies and standards for healthy alternatives to sugar-sweetened beverages for children in childcare. 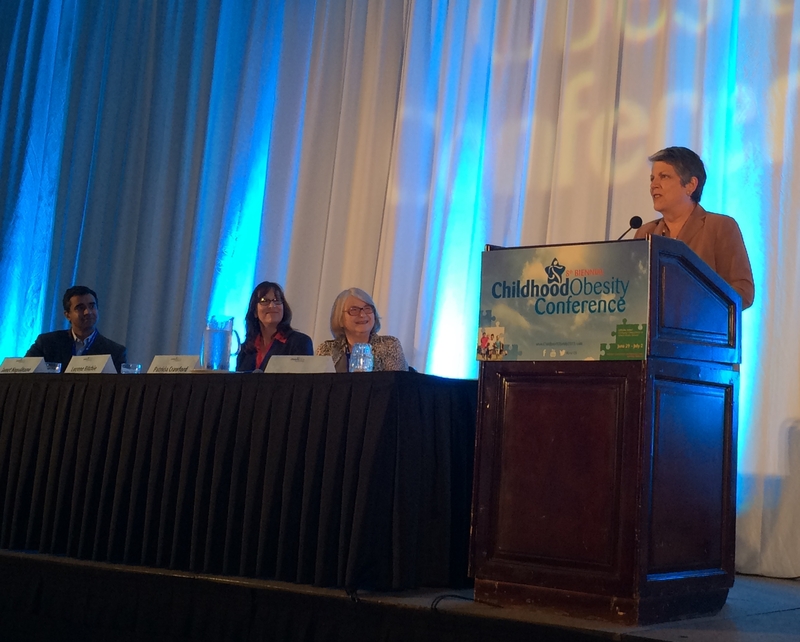 During a workshop session, Lorrene Ritchie, NPI director, and other panelists discussed the importance of policies and standards for healthy alternatives to sugar-sweetened beverages for children in childcare settings. Patricia Crawford, NPI senior director of research at NPI and other panelists presented data on childhood obesity trends and racial/ethnic disparities in California and discussed the health and financial consequences. They also discussed the cost-effectiveness of national and state excise taxes on sugar-sweetened beverages and labels to inform consumers of the health risks of consuming sugary drinks. Hecht moderated a conversation on policy between former Iowa Senator Tom Harkin and USDA Under Secretary Kevin Concannon. The two influential figures discussed the growth of the federal nutrition assistance programs over 40 years and reflected on obstacles overcome and successes achieved. Public research universities have a critical role in addressing the complex challenge of child obesity, said Janet Napolitano. PowerPoint presentations from the conference are online at http://www.childhoodobesity2015.com/bios.cfm?pid=902. Photos and postconference information can be seen on Facebook and Twitter with the hashtag #COC15.